MarineBio offers the following information specifically for students or would-be students of the marine life sciences. 1. What education is required to become a Marine Biologist? Prospective scientists who hope to work within the field of Marine Biology should have at least a degree in a biological science, e.g. in general Biology or Zoology, before specializing via further education. Many believe that students should not overspecialize in undergraduate study, as knowledge of marine biology is often acquired during graduate study (during a Masters or PhD degree). 2. What roles are associated with each degree of education? A Bachelor’s degree (BSc) is associated with non-research roles and graduates with such a degree may start as scientists in testing and inspection. A Masters of Science (MSc) degree is sufficient in many jobs, e.g. product development, management, and may allow one to work as a research technician or a teacher. A Doctor of Science (PhD) allows further roles in research and developmental positions. 3. Which are the best universities in this field? Woods Hole Oceanographic Institution, The Scripps Research Institute, University of California (Santa Barbara) and the University of Miami (Rosenstiel School of Marine and Atmospheric Science) are a few of the top ranked colleges in Marine Biology. See our schools page for more. 4. What skills are required in marine biology? Proficiency and a general interest in communication, science (specifically biology) and math would be of great use. 5. 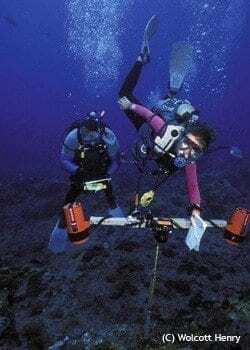 How would I get a job in marine biology after college? It is best to initially discuss any plans with your advisors for further advice. Some form of internships or voluntary work with companies during breaks would be of great use too. 6. What kind of salary do Marine Biologists make? Marine Biologists make fairly average salaries. For instance, BSc biologists typically have a range from $30-40,000, whilst MSc biologists often earn $40-50,000. A full professor of Marine Biologist of a university can earn up to $100,000. It’s highly variable, however, and many jobs are very tough to get because they are few and there are many applicants. 7. What are some of the types of equipment marine biologists use? Besides, lab equipment, boats/ships and various oceanographic equipment including water samplers, various nets and traps, they use computers (see our Tools page) as well as submarines if they are lucky. Some also scuba dive and also use photographic and video systems to capture images and footage of marine animal behaviors. 8. What kind of marine biology fields would incorporate robotics? The ones where robotics would be used for sampling or exploring places humans cannot go. For example, Remotely Operated Vehicles (ROVs) are often used instead of manned submersibles for various reasons (cost, safety, speed of deployment, etc.). So deep-sea research uses robotics as well as whenever ROVs are used. 9. What kind of people do you work with? What sort of personality do you need? I work with average people and some remarkable ones too. Everyone needs a calm and friendly personality to go with their top-notch skills. Much research (including the work behind MarineBio) involves teams and team members need to be able to communicate effectively as well amicably. Type B and even C personalities are usually best. 10. What kind of responsibilities do you have? I am responsible for all of MarineBio and working with the volunteers and our project teams on our projects. 11. What advice would you give to someone who wants to be a marine biologist or just started? Enjoy what you do every second you can. If marine biology keeps you up at night and you cannot get enough of it, then read all the books, watch all the films and take all the science and math classes you can. It will be hard work but if it continues to be your passion then no price is too high to succeed in it.